I used to think I’d never read a book by Stephen King (well, I don’t like horror. Why would I have?). Then one day I was looking at an edition of a science fiction novel I’d read as a teen, The Running Man. I found it now appeared to be by Stephen King—he’d published it under the pen name of Richard Bachmann. As far as I recall, it was well-written, if a little violent for my tastes (but not nearly as violent as the movie).I’ve recently read On Writing, so now I’ve read two Stephen King books. 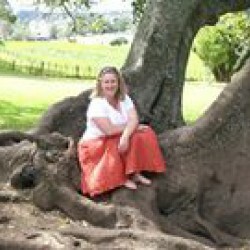 On Writing is part memoir and part writing tutorial. The memoir was honest, funny and sad. The writing tutorial was pithy and funny, and draws in large parts from King’s own writing, so parts of it were (still) a little too violent for my tastes. I admire his writing, but don’t think I want to read any more of it.But he has some great advice that works for writers across all genres. He advises all writers to read—he personally reads around seventy books a year and listens to more as audiobooks. 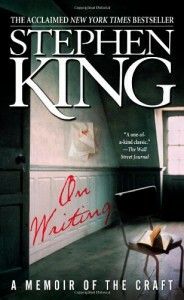 King is opinionated: he says if you don’t have time to read, you don’t have the time (or the tools) to write. I agree (and I’d go further and say it’s not good enough to read the classics like Austen and Dickens: the modern author has to read other modern authors to understand what readers read. Otherwise they’ll be writing in a style that slipped out of fashion decades ago). One thing that surprised me was his view on plotting: he doesn’t. He says:“My basic belief about the making of stories is that they pretty much make themselves. The job of the writer is to give them a place to grow … I believe plotting and the spontaneity of real creation aren’t compatible … if I’m not able to guess with any accuracy how the damned thing is going to turn out, even with my inside knowledge of coming events, I can be pretty sure of keeping the reader in a state of page-turning anxiety.”Page-turning anxiety. Also known as conflict. The other point that struck me was King’s view of the purpose of good fiction: to tell the truth, to find the truth within the story’s “web of lies”. The one part I didn’t like was the last 10%, the story of his recovery from an almost-fatal accident. I’m not a fan of medical drama, and this portion had a little too much real life for my taste. Overall, On Writing is well worth reading. Recommended.